More than a health ailment, nauseacan be categorized more as a symptom for a lot of health issues that you might face from time to time. 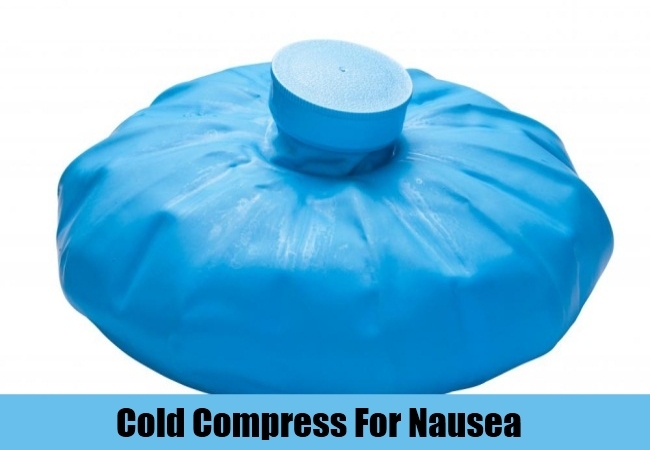 Nausea is something that can cause a lot discomfort for the sufferer and is quite an unpleasant reaction of the body. In simple terms, feelings of nausea are nothing but the urge to vomit.The symptom can also be accompanied by cramps in the stomach as well as excessive saliva production. Some of the diseases that can very well cause nausea includes gall stones, stomach infections, fever, viral infections, food poisoning and even serious issues like cancer. However, nausea is also one of the common problems among pregnant women. Some other chronic issues that might lead to this reaction are headaches and motion sickness. Ginger is one of the perfect remedies for nausea from ages now. You can either have it in the form of a fresh piece of ginger or one that is pickled in salt and lemon. Some other ways to consume ginger is in the form of a cup of ginger tea, drinks like ginger ale, ginger brew to which you can add a bit of honey, gingerbread, ginger candies, ginger powder and more. be it any form, ginger is a flawless remedy for nausea and vomiting. There are various teas that can help you get over nausea instantly. These include peppermint, cinnamon, raspberry, and chamomile or lemon tea. Having 1-2 cups of any of these flavors is one of the well-researched recipes for treating the urge for vomiting. You can also have a cup of ginger and lemon juice combo tea. A slow walk will give you the fresh air that you truly need when suffering from nausea. All you need is just 15-20 minutes from your precious time schedule. A glass of cranberry juice is all that you need for immediate outcomes to problems of nausea. It brings back the digestive system on track as well. However make sure that the juice is 100 percent natural and free from all kinds of preservatives. Herein, it is very important to mention that drinking good amounts of fluids will help you a long way in keeping nausea at bay. These can be in the form of water which is at room temperature or fresh apple juice concentrated in water. One thing you need to make sure is that you should take sips in such a condition. Drinking all at once can actually worsen the situation. Some sleep or taking a nap for a while can really help you overcome nausea to a great deal. You might not completely be able to treat it but then sleeping for sometime is always a better option than keeping awake and suffering. Also, avoid too much of activities especially those that are rigorous. They might just make you feel more sick. Keep a cold compress on the head for like 5-10 minutes. This will wonderfully and easily help in curing vomiting and nausea in just a couple of minutes. It will also bring instant comfort to you. Soda based drinks is a simple and effective remedy to cure nausea in a jiffy. Try any one of them by taking small sips at regular intervals. This is one of the best picks you can make where home remedies are concerned. Mix in some fresh lime or lemon juice to a glass of water and also add a pinch of salt to it. Consuming this fluid is a great treatment straight from the kitchen for nausea. Lemon juice can also be mixed with some honey and licked from time to time to get over this form of discomfort. You should completely stay away from any from of bad odor or repulsive smells. This will aggravate the situation completely and make it more difficult to cure the ailment. Make sure you follow this preventive measure strictly. Cider vinegar is again one of those natural products from your kitchen racks that have innumerable benefits in store for you. One of the many advantages is to cure feelings of nausea in a safe and effective manner. All you have to do is rinse your mouth with concentrated vinegar. This will ease out the acidic behavior of the stomach and very well treat nausea. Sucking come ice cubes for a while is one of the easiest tricks that you can follow where nausea is concerned. Extract a teaspoon of fresh onion juice and mix it well with some grated ginger. Have this combination at least 2 times in the entire day to get rid of vomiting and that sick feeling that is making you so uncomfortable. Where nausea is concerned it is highly recommended to eat food products like bananas, peanuts, fiber rich foods that will clean the system of the acid and chemicals like apples and green leafy vegetables, breads, crackers, biscuits and more. eating this will only help in speeding the recovery. On the other hand it is suggested that you completely stay away from fried and oily food items, acidic fruits, citrus fruits and all kinds of dairy products. The lactose content in dairy items can worsen the feelings of vomiting. These are the top ways which if followed strictly can really be a good medicinal substitute for nausea.